Although the review largely focuses on Russia, several sections are dedicated to the lack of transparency in China's nuclear buildup. China has also long maintained it will never allow first use of its atomic weapons. Beijing: China said Sunday it is "firmly opposed" to the United States' new nuclear weapons policy statement, describing its speculation about Chinese intentions as "wild guesses". The US Defense Department's Nuclear Posture Review released Friday outlines the Pentagon's nuclear ambitions under President Donald Trump, while spelling out how it foresees nuclear threats in the coming decades. The report says China has added new types of nuclear capabilities -- ranging from a mobile intercontinental ballistic missile to a new ballistic missile submarine -- "with little to no transparency into its intentions". 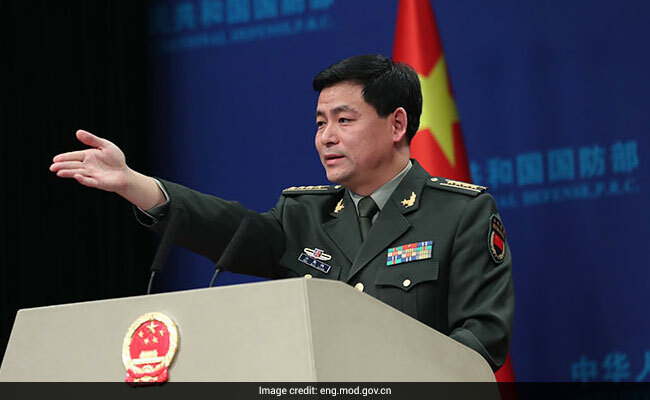 The report makes "wild guesses" about China's intentions and exaggerates the threat of its nuclear force, defence ministry spokesman Ren Guoqiang said in a statement. China is "firmly opposed to this", Ren said. China "has always kept its own nuclear forces at the minimum level required by national security", Ren said, pointing out that the US has the world's largest nuclear arsenal. "We hope that the United States will abandon its Cold War mentality," Ren said. China's neighbours have watched warily as the People's Liberation Army has upgraded its arsenal with increasingly sophisticated weaponry and sought to create a more effective and professional fighting force. Upgrades to its nuclear arsenal have received less attention, partly because of its small size, estimated by the Stockholm International Peace Research Institute at just 270 warheads compared to 6,800 for the US. China "always abides by the principle of no first use of nuclear weapons under any circumstances", Ren said, and will "unconditionally not use or threaten to use nuclear weapons against non-nuclear weapon states." The US military wants to revamp its nuclear arsenal and develop new low-yield atomic weapons, largely in response to Russian actions in recent years, the Pentagon said. Moscow on Saturday denounced the "bellicose" and "anti-Russian" nature of the new US nuclear policy, warning it would take necessary measures to ensure its own security. Iran Says US Nuclear Policy Brings World "Closer To Annihilation"